gift her moments of amazing grace. this exclusive collection includes 3 ways to enjoy the beautifully crafted floral, universally loved and lauded scent. the experience opens with the award-winning shampoo, bath & shower gel featuring a rich, grace-infused lather that leaves skin and hair clean, soft and delicately scented. next, a nourishing treatment of firming body emulsion conditions and moisturizes as it tones, for skin that feels pampered and renewed. a finishing spritz of eau de toilette will accompany her through the day with grace. set includes an 8 oz. shampoo, bath & body shower gel, a 2 oz. eau de toilette and an 8 oz. firming body emulsion. 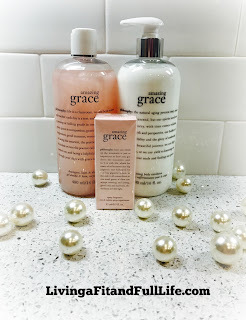 Get in mom's good grace this Mother's Day with philosophy's Moments of Grace Mother's Day Trio Set! 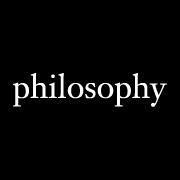 philosophy's Moments of Grace is one of my favorite scents of all time! I absolutely love how amazingly beautiful this floral scent is that's simply perfect for any occasion. philosophy's Moments of Grace shampoo, bath & shower gel is the perfect way to smell beautiful all hours of the day. It lathers extremely well and makes my whole bathroom smell like heaven. philosophy's Moments of Grace nourishing treatment of firming body emulsion conditions and moisturizes as it tones to leave your skin looking healthy and radiant. The eau de toilette spray keeps you smelling amazing through just about anything. I love to keep it in my purse and spray some on throughout the day. It's extremely uplifting and keeps me smelling like a million bucks through all the challenges my day holds. As a mom of four there's many challenges that I face and philosophy's Moments of Grace Mother's Day Trio Set helps me get through them all! philosophy's Moments of Grace Mother's Day Trio Set is the perfect way to get in mom's good grace this Mother's Day!